Rubin and Schmidt: Here's what they said about Android past, present and future from the Dive Into Mobile conference! If you're remotely interested in tech then it's almost impossible to avoid the march of Android that we're seeing at the moment. We already know that the OS powers a whopping 70% of the smartphones in the world, so when two of the people who are responsible for the direction Android takes put themselves up on the stage at a major conference, we pretty much need to tell you what they said! So what better place to start then right at the very beginning of the Android story? The operating system which now powered hundreds of millions of smartphones actually started its life tailored for cameras! Andy Rubin revealed the news earlier this week in Tokyo. While outlining Android's humble origins he said, "the exact same operating system we built for cameras…became Android for cellphones". Initially Andy Rubin connection to home PC's and then the subsequent option to connect to an “Android Datacenter.” The plan was supposedly only changed when the camera market was deemed to be a bit restrictive did Android's founders look to smartphones, just before they were snapped up by Google in 2005! Rubin added that Android's goal is still to get the OS into as many hands as possible and the next significant milestones will be Android 5.0 and the one billion activations milestone! Talking of those activations it seems Google's work is relentless! Eric Schmidt updated us on the Android landscape today at Dive Into Mobile. He said that daily activations of Android devices are now at 1.5 million! That's up again from the 1.3 million activations we were seeing per day back in the Autumn of last year. With that in mind the one billion goal is becoming a very realistic target which we can expect to see reached by the end of the year! Schmidt said that when devices start to come onto the market with an average price of $100 then the sales figures will look even better still! Any one else excited for what's to come? And in case you were wondering no Andy didn't tell us what he's working on now! 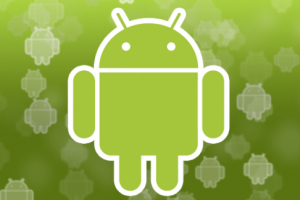 Via Phandroid (1) and (2) and AndroidCommunity.